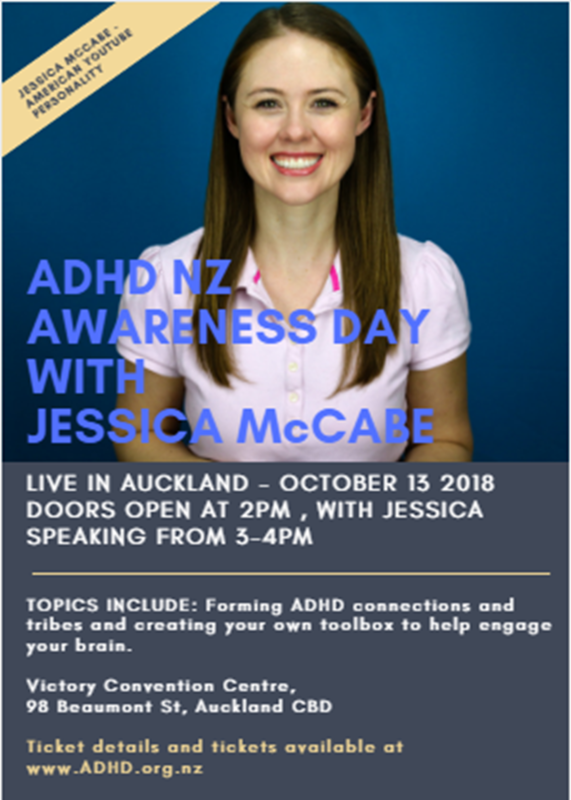 Image from ADHD NZ Awareness Day with Jessica McCabe by Dr. Sarah Watson. Forming ADHD connections and tribes, and creating your own toolbox to help engage your brain. Live in Auckland – October 13 2018. Doors open at 2pm, with Jessica speaking from 3-4pm. 98 Beaumont Street, Auckland CBD. More information available at www.ADHD.org.nz.